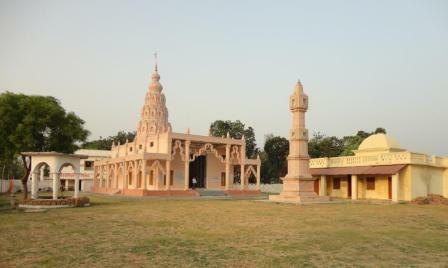 Shravasti is the great historic place sacred by the organization/celebrations of Bhagwan Sambhavnath’s (IIIrdTeerthankara) Garbha, Janma, Tapa and Gyan Kalyankas. This place was famous for prosperity and being the centre of powerful states. This was also famous for business/trade and education. 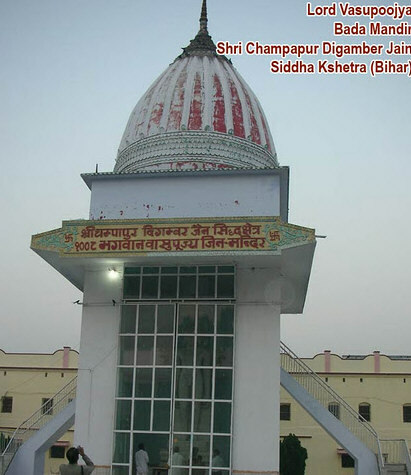 Third Teerthankar Lord Sambhavnath’s first Samavsharan was also established here and his first spiritual speech (Divya Dhwani) was delivered here to show the path of Moksha, path of self welfare to all living beings. 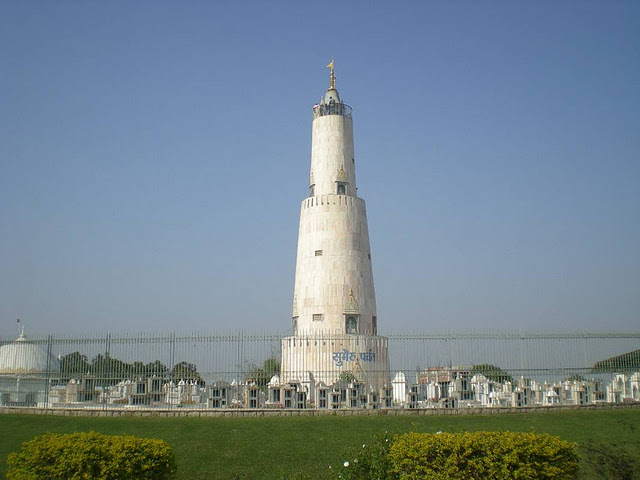 Bhagwan Mahaveer’s Samavsharan also came here so many times. At that time, the ruler of Shravasti was King Prasenjit. 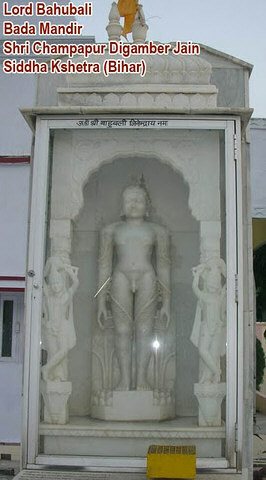 Lord Mahaveer also stayed here for many Chaturmaas (Four month period of rainy season) while he was ascetic Saint/ Muni. 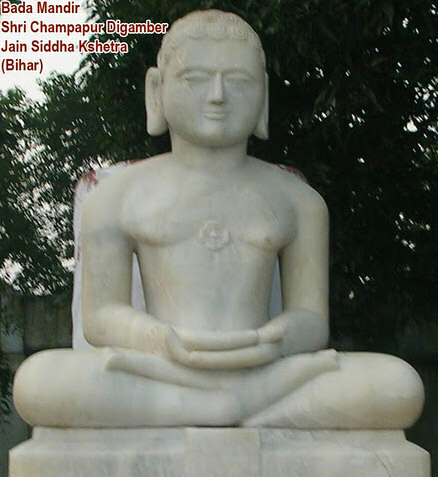 Muni Keshi, in succession of 23rd Teerthankara Bhagwan Parashvanath also met here to Gautam Swami – the principal Ganadhara of Bhagwan Mahaveer , they discussed and cleared their doubts about spiritual matters. 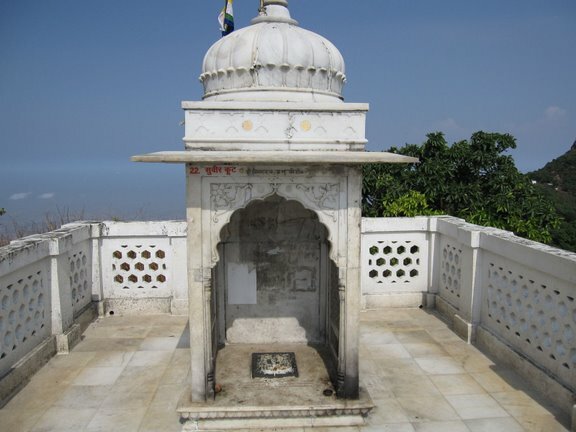 According to Harivansha Purana – King Jitshatru’s son Mrigdwaj accepted asceticism here in the garden of Shravasti being and after deep penance and meditation, he attained salvation from here. 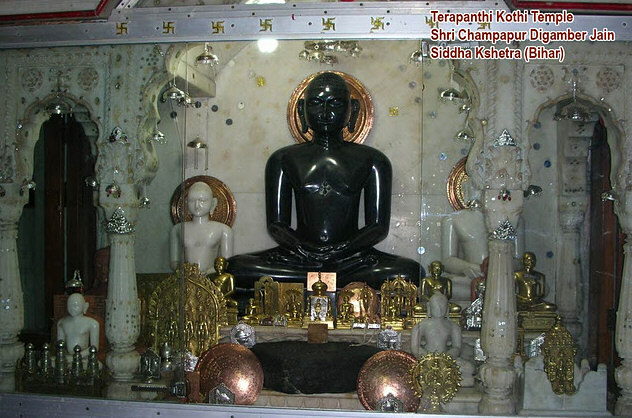 According to Karkandu Chairu – Nagdatta the famous businessman of Shravasti being sad due to woman’s character, accepted asceticism and also attained salvation from here. 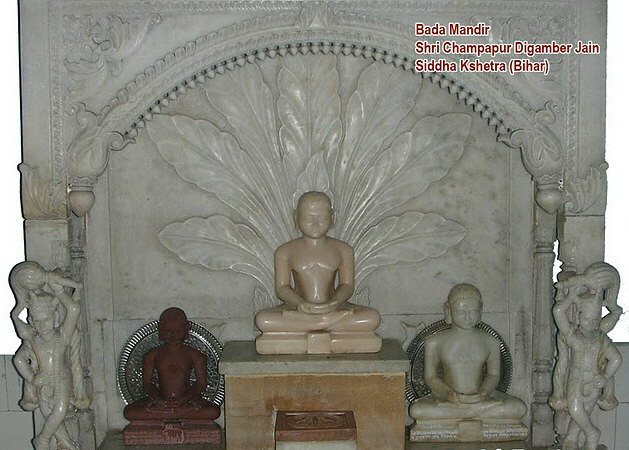 Here Gautam Buddha – the founder of Bauddha Dharma (Religion)/Buddhism, also practiced for penance under a tree up to 15 years, that tree is still present here. Due to geographic situation of Shravasti this was highly prosperous city in ancient times. Business relations of Shravasti were established with the countries far ahead from here. At that time three major roads were crossing at Shrawasti connecting it to the main cities and capitals of ancient India. 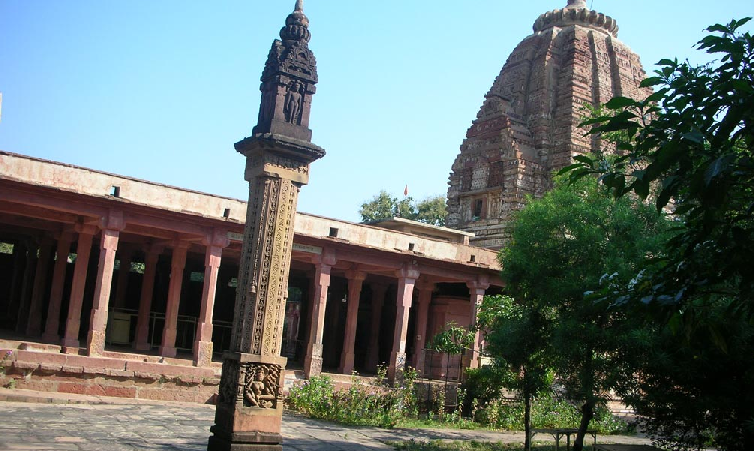 Prosperity and sovereignty of Shravasti could be kept safe only up to 12th – 13th Century. Last and successful attempt to keep Shravasti safe was performed by King Suheldev. 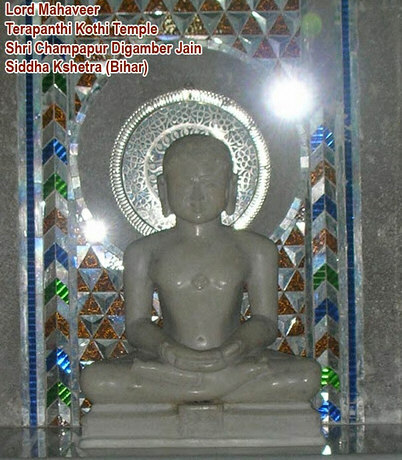 He was Jain and worshipper of Teerthankar Bhagwan Sambhavnath. At that time Mahmood Gaznavi of Gazni crushed and ruined the several parts of India and returned to his country. From there he sent his nephew Sayyed Salar Masood Gazi to win Awadha with a huge army, Sayyed Salar was a brave general as well as he was a good diplomat also. He defeated so many Hindu Kings dividing them or by keeping cows in front of army. Hindu Kings did not attack on cows by the fear of sin of killing to cows while Muslim soldiers behind cows aggressively coming forward and in last by attacking fiercely defeated Hindu Kings. But when Sayyed Salar reached in the fields of Kondiala near Bahraich, his army found himself standing against the brave King Suheldev and his fully prepared soldiers/warriors. Both the armies attacked on each other fiercely and in the end in the year 1034 Sayyed Salar was killed with his total army. In result, Shravasti and the area of Avadha remained safe for about next 200 years. Later on Alauddin Khilzi attacked on Shravasti and turned it in to ruins. 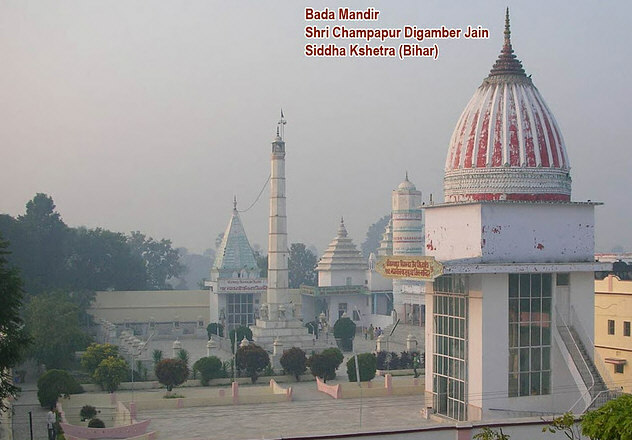 All the temples, Vihars, Stoopas and Idols were destroyed. In future Shravasti was never able to achieve the previous glory. 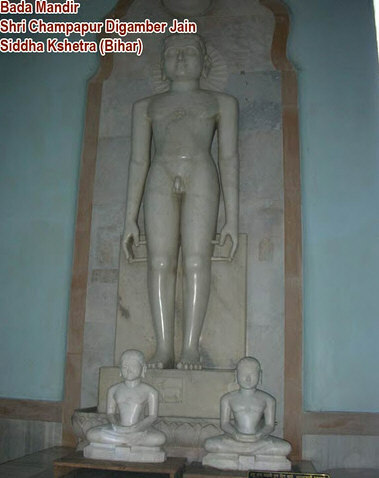 Archaeology - In ancient times Shravasti was highly prosperous and famous as Jain Teerth Kshetra (Pilgrimage Centre). So many Temples, Stoopas, Vihars and Columns were constructed here. Ashoka the great and his grandson King Samprati constructed so many Temples, Vihars, Stoopas etc. here. In the same way Shreshthies (Businessmen) of Shravasti also constructed so many temples. After the attacks by Alauddin Khilzi these beautiful specimens of art and temples were destroyed (Year 1296-1316). Their ruins are spread in Sahet and Mahet villages and in nearby forests. 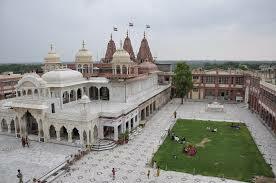 Mahet is the place of ancient Shravasti and Sahet is near Mahet the place of Bauddha Vihar, that is ancient Jetvana. 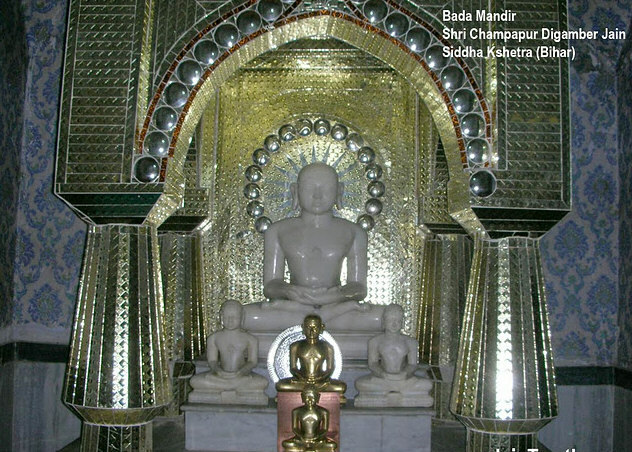 Remains of Jain architecture and art are found in huge quantity in the western part of Mahet, it includes the remains of Temples, Vihars, Stoupas, Idols and others, this is all related to the period – 4th Century B.C. to 12th Century A.D. 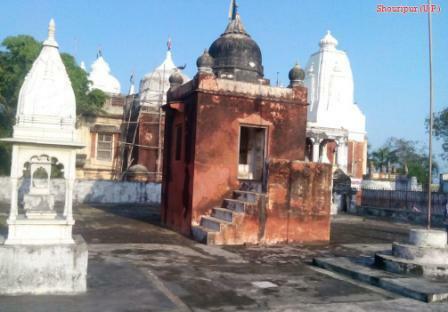 Here an ancient temple of Bhagwan Sambhavnath in tattered position is situated, that is now called Sobhnath Temple. Underground this temple, remains of ancient temple are found, over the temple a vault/dome of Iranian style exists instead of spire. 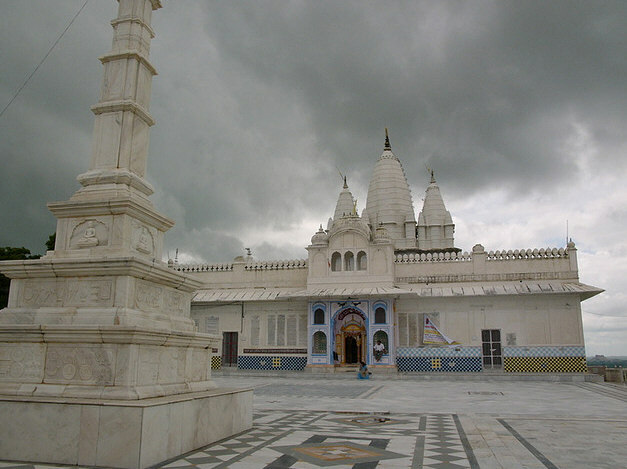 Sanctum of this temple is 10 x 10 ft in size. 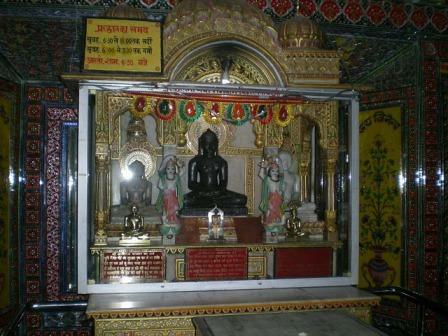 During digging many Jain idols are recovered from here. It is said that idols of 24 Teerthankaras were here. 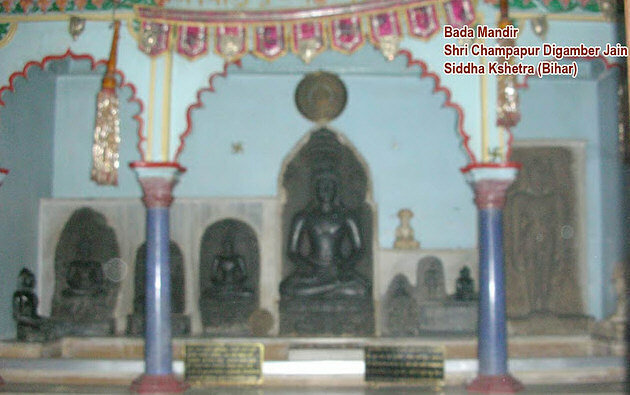 In a room of this temple an idol of Bhagwan Rishabhadeo was found on a flat stone, idol of Bhagwan Rishabhdeo in seating posture is carved, on the sides two lion and an ox (Symbol of Rishabhdev) in centre is carved. On both sides of idols two Yakshas are standing, three umbrellas are made beautifully over the head of Rishabhdev. This idol is magnificent and agreeable and about 1000 years old. 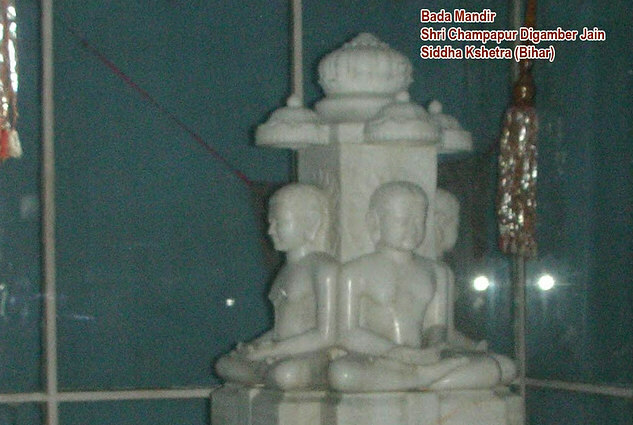 Idols of remaining 23 Teerthankaras are also carved on this flat stone. 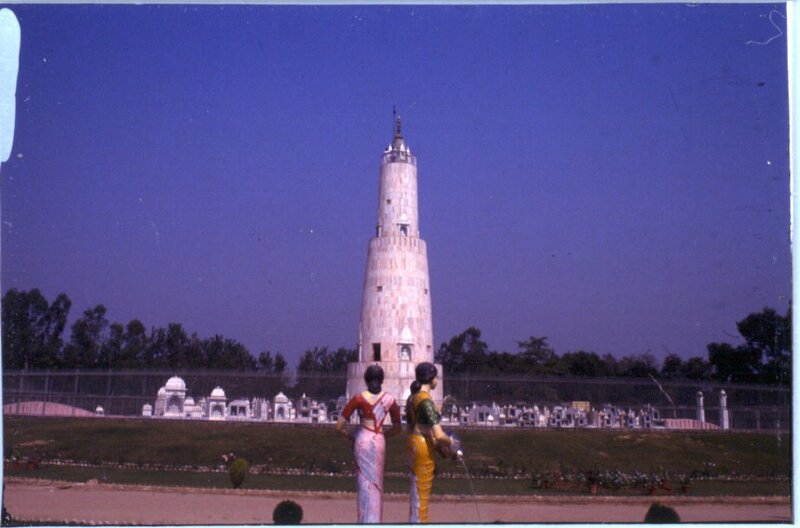 So many idols have petrography on the base, which shows that these were reverenced in V.S. 1133, 1234. In addition remains of Chaitya Vriksha and idols of religious goddesses are also found, these are the excellent specimens of mediaeval art. 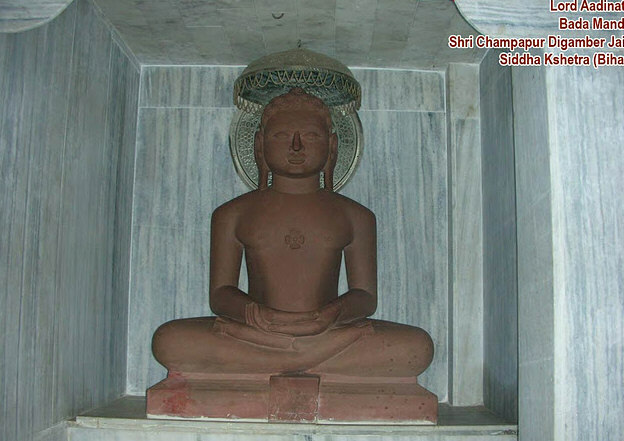 It is supposed that around Sobhnath temple, there may be another 18 temples, one of them may be the birth place of 8thTeerthankara Bhagwan Chandraprabhu. Forest around the Kshetra is developed on the remains of Shravasti. 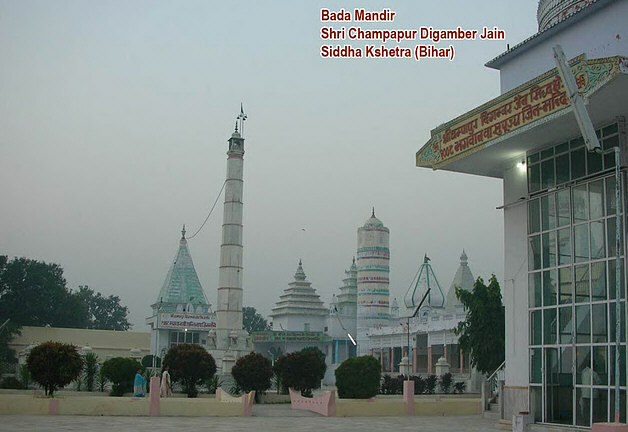 Bauddha Teerth – The Sahet part of Shravasti was Baudha Teerth. 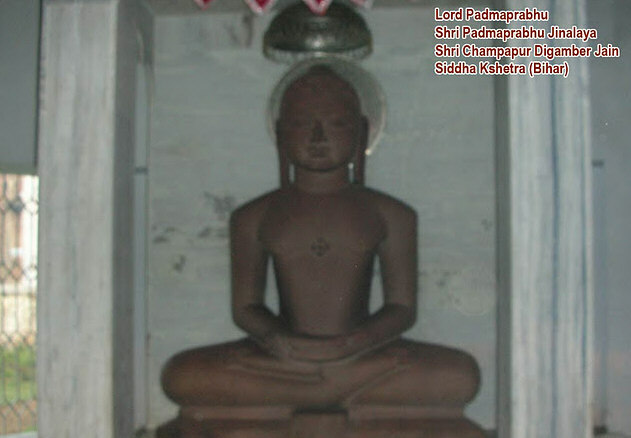 To make the residence of Mahatma Buddha, Seth Sudatta purchased the garden from prince Jet, son of King Prasenjit that time in 18 crore of gold coins. Sudatta constructed a vihar on the land of garden, his wife Vishakha also constructed a vihar called ‘Poorvaram’. 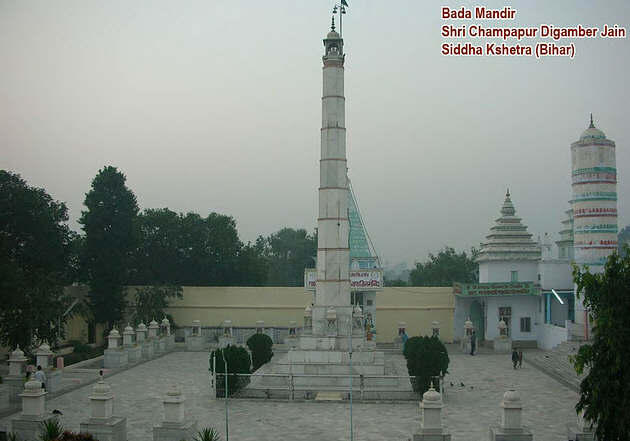 A Stoopa was constructed by Ashoka The Great. The Buddha stayed here for many Chaturmaas. This way, Shravasti is a Bauddha Teerth also. Buddhists from all over the world come here for pilgrimage, three new temples of Buddha are existing here now a day. 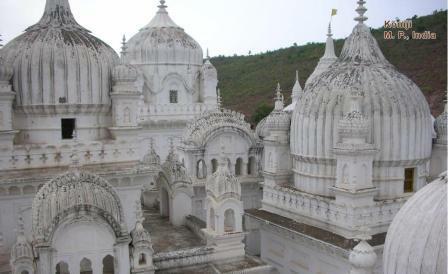 There are two new magnificent Jain Temples with artful spires at Shravasti. 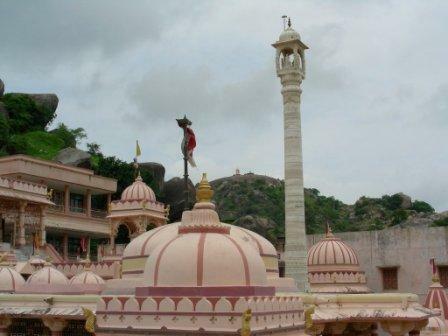 First temple was reverenced in Yr 1966 by organizing a Panch Kalyanka Pratishtha Mahotsava. 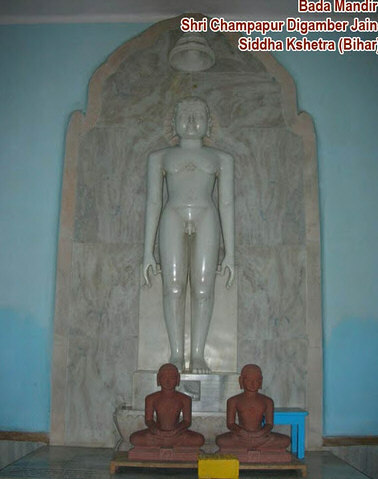 Bhagwan Sambhavnath’s white attractive idol in seating posture, 3 ft & 9 inch in height is installed as principal deity in this temple, this idol is miraculous and agreeable. Second temple was reverenced in Yr 1995. This is extremely beautiful, attractive and decorated with high artful spires. 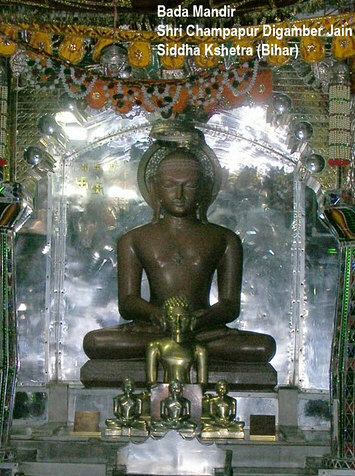 Idols of 24 Teerthankara are installed in this temple with principal deity Bhagwan Sambhavnath. 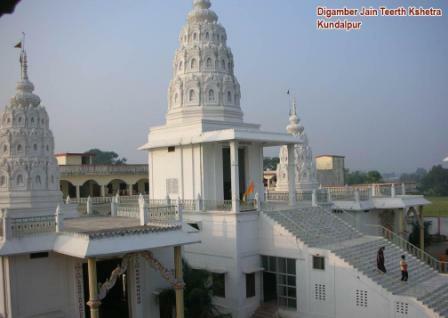 The 84 feet high temple is called Bhagwan Sambhavnath Chaubesee Mandir. 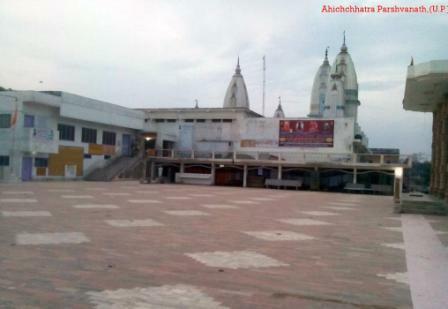 Third is ancient Sobhnath temple. 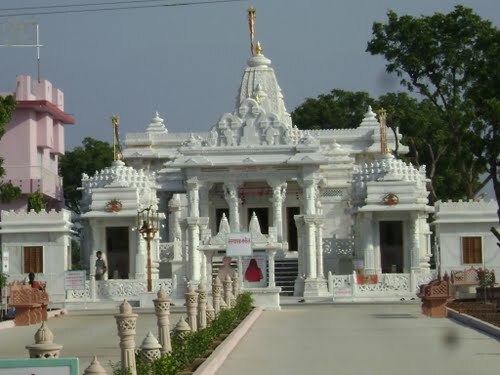 2.Bauddha Mandir constructed by government of Sri Lanka. 3.A Gong established by government of Japan in the centre of garden of Shravasti, it’s weight is 3.5 tons and its sound is heard up to the distance of 3 Kms. 4.Bauddha Temples by Burma, Thailand, China Government etc. 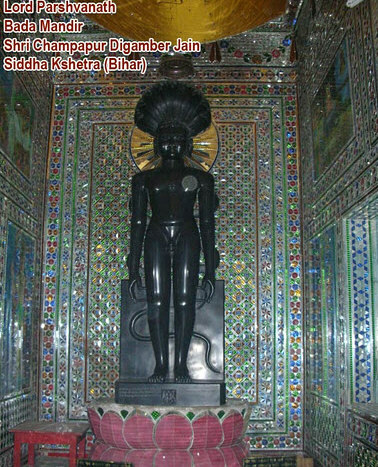 5.Caves of Angulimal – a famous dacoit at the time of Buddha. Natural peaceful and pure environment, beautiful scenery rewarding eternal peace to pilgrims exists here. 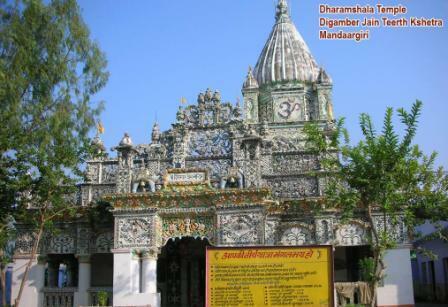 Digambar Jain Dharmashala containing 20 normal rooms & 20 semi-deluxe rooms. 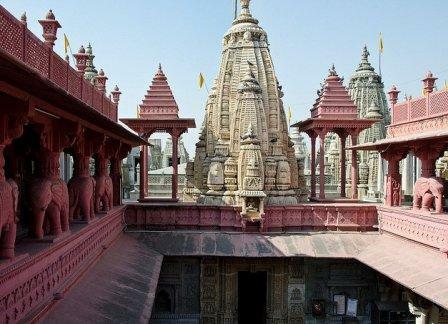 Shwetambar Jain Dharmashala containing 10 normal rooms & 10 semi-deluxe rooms. Mess Facility is also available. Items like utensils, bed, tent etc. are available. Other –Three star hotel with all modern facilities available. 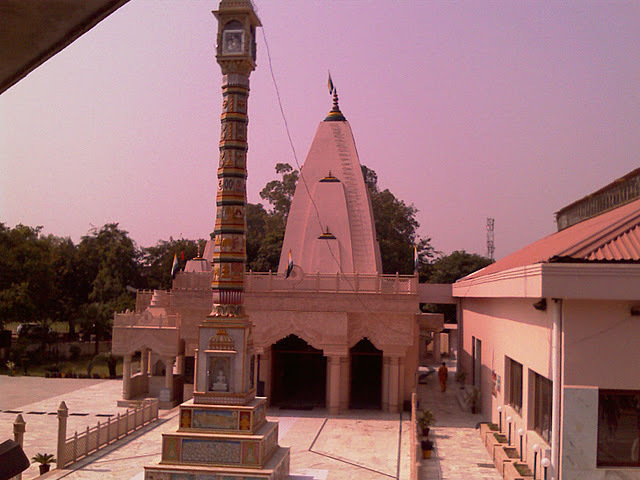 By Road: –Busses from KesarBag bus stand of Lucknow are available every time for Shravasti. Buses and Taxies from Baharaich available every time. 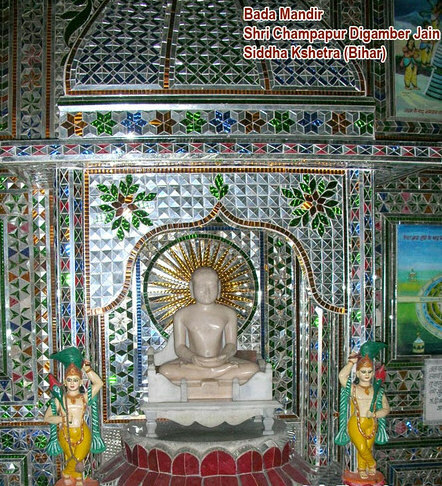 Shri Digambar Jain Shravasti Teerth Kshetra. Road Route:Agra is world famous tourist center. Taxies & Buses from Electric House Bus Stand of Agra are available for Bateshwar. Rail Route: Agra 72 km, Shikohabad 22 km. Taxi & Buses are also available from here.